Allow Computers (Desktop and Laptop/ Notebook) to Save Energy. Make Big difference in your energy bills for good, by allowing your computer(s) to save energy. Computer Monitor(s) Consume good amount of electricity. How about turning monitor off, when you are not using the computer actively?. 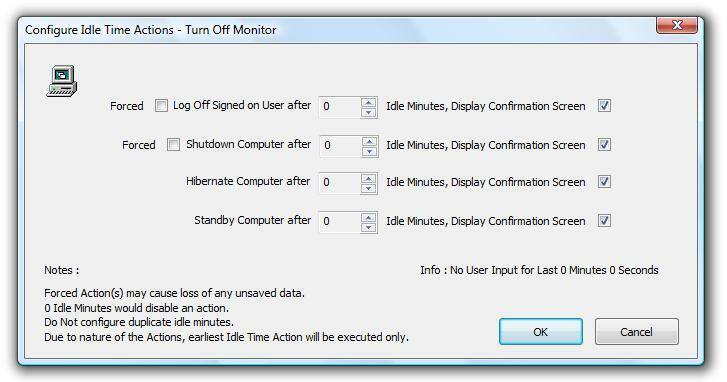 Download Software to Turn Monitor Off, when you are not using computer monitor actively, whenever your computer is locked, and more ways to start saving energy today. Hibernate is a way by which you can save state of computer and shutdown computer and later start computer in the saved state. Create Desktop Shortcut to easily & quickly Hibernate Computer. Automatically Hibernate Computer, if no one is using computer for defined duration. Hibernate and Wakeup Computer after defined duration. Read how to Hibernate Computer easily, and other useful easy ways to save energy. Shutdown Computer is the best way in which a computer can save energy. 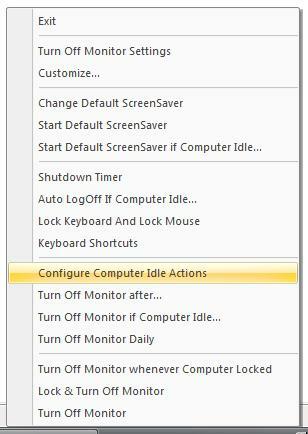 Create Desktop Shortcut to easily & quickly Shutdown Computer. Auto Shutdown Computer, if no one is using computer for defined duration. Enable / Disable Voice Alert when the software is supposed to Shutdown Computer automatically (after defined idle duration, on press of a system wide hot key, and more). Read how to Shutdown Computer automatically and easily, and other useful easy ways to save energy. Download Software Now, and designate the task of saving energy to your computer. Auto Shutdown, Shutdown Timer, and more software downloads.